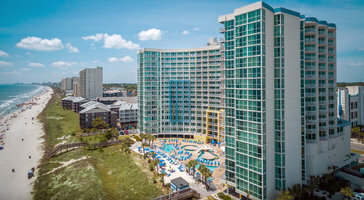 Kids and grownups alike will love the oceanfront water park, which includes multiple pools, whirlpool spas, a lazy river, and splash pool with a water fountain. Of course you could walk about 50 yards and end up on the beach. But the deluxe pool area gives guests even more fun. There’s a separate indoor pool too with its own lazy river, great for rainy days and the winter months. Grab a bite to eat at the Poolside Grill. Stay in shape at the on-site fitness center. 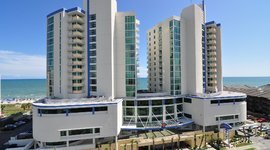 One-, two-, and three-bedroom condo rentals at Avista Resort feature full kitchens, living and dining areas, and private balconies.